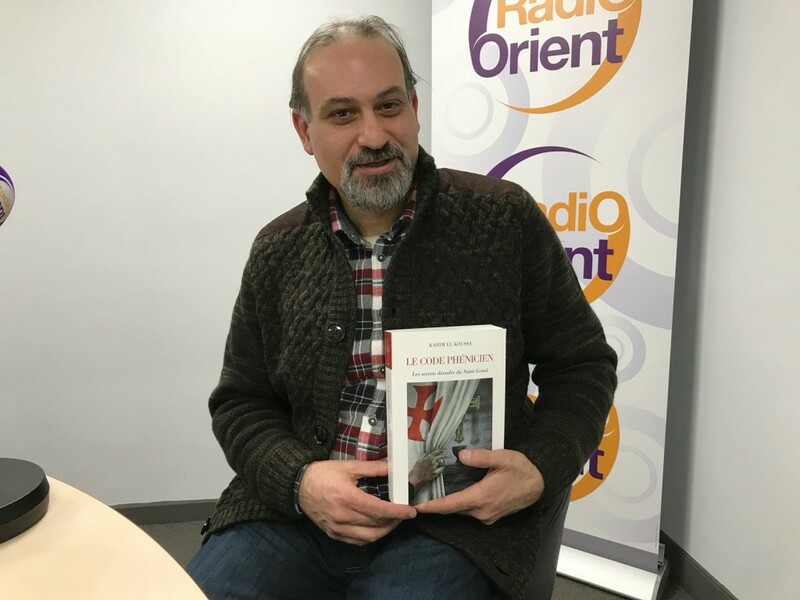 Not many people have heard of Karim El Koussa in Lebanon, but abroad, He is a best-selling author, with his new ‘Le Code Phénicien’ on Amazon’ “First Choice” picks. The book is currently rumored to have garnered a movie adaptation (in which case, we hope it materializes into the movie it deserves to be). 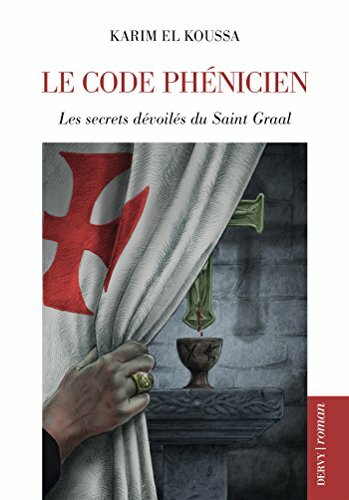 1 APLH :: Tell us briefly about your new book “Le Code Phénicien” [The Phoenician Code]. Is the parallelism with Dan Brown (in the title) made on purpose? K.el.K. Thank you for interviewing me. Well, Le Code Phénicien is the French edition recently published (February 2018) by Editions Dervy in Paris of the already released novels The Phoenician Code in the US (October 2011) by Sunbury Press Books and Al Chifra Al Finiqiya in Lebanon (December 2015) by Dar Saer Al Mashrek. It is in fact a fictional novel, a mystery thriller based on astounding historical and religious facts. Manipulated by the underground lobby since the coming of Christ, and revealed today by The Phoenician Code, those hidden facts come to light to reassess some major realities. Much more than just an anti-thesis to: The DaVinci Code. And yes, one of the main reasons the title has been chosen as such was to debunk the false claims of Dan Brown’s novel concerning Jesus’s relationship to Mary Magdalene. 2 APLH :: Researching Karim El Koussa, shows us he is an author who chooses to self-publish abroad rather than in Lebanon. Is there some controversy over your views that prevents you from publishing locally? K.el.K. Not exactly true. I have already self-published 4 books in Lebanon at Raiidy Printing Press, starting with Reflecting Unitas (1996), Blooming Planes (1998), Pythagoras the Mathemagician (2001) and Mystery of the Alphabet (2003). Having clarified that point, I should rather say that the problem resides not in publishing books in Lebanon, not at all, but rather in the response of Lebanese readers to my writings in English. Of course, the Lebanese are mostly a trilingual group of people but my audience remained small to my aspirations. This in fact pushed me to consider seeking publication elsewhere, and it took me a couple of years after my last self-published book to find a publisher in the US for the 1st American edition of Pythagoras: the Mathemagician (September 2005). However, it was not until signing with Sunbury Press in 2010 and releasing the 2nd American edition of Pythagoras the Mathemagician (October 2010) that things started to take a different turn for me as an author. 3 APLH :: In « Jesus The Phoenician » you bring up the hypothesis of a Phoenician origin of Christ in comparison to the mainstream Jewish one. What were the cultural responses to that hypothesis, in lebanon and abroad ? Is the interest into the subject of the book, a religious one or purely historical? K.el.K. 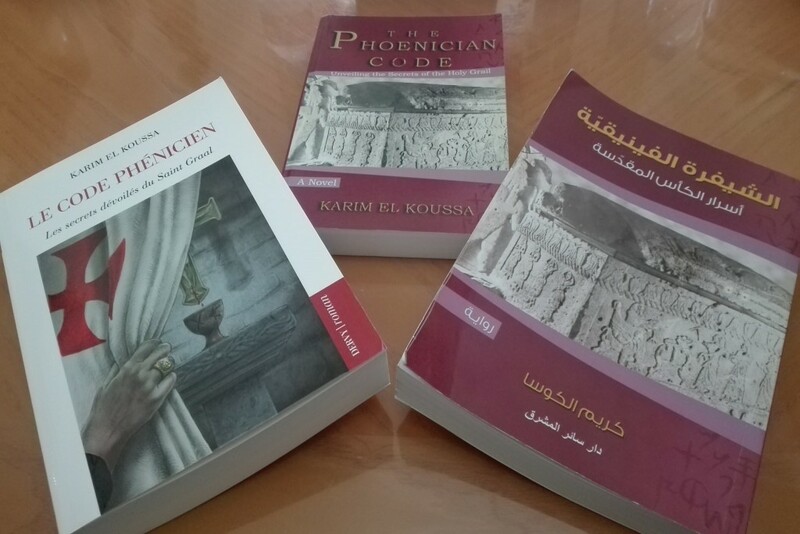 Jesus the Phoenician (October 2013) was actually meant to be a companion book to The Phoenician Code, released two years earlier. It was a request made by my US publisher when we’ve met back in October 2011 on the eve of launching The Phoenician Code in Pennsylvania. As a matter of fact, what was written of history and religion in the mystery thriller fictional novel had been proven in the research book, so if people doubted the revelations found in the first book they’ll be assured in the second one. In short, Jesus the Phoenician is a book of religious history that is sure to challenge conventional thinking about the origins of Jesus Christ, not only among Christians in the west but in the entire world. It conveys important historical, geographical, archaeological, cultural and theological findings regarding the possibility that Jesus was not Jewish, but rather Phoenician. 4 APLH :: In « the Phoenician Code », Phoenician lore, the Crusades, Secret brotherhoods, occultism and esotericism blend together. Beneath the ‘Hollywood blockbuster’ character of the novel, can the reader find some hard truths that can be retraced in the real world, a bit like the Dan Brown series did? while staying in Lebanon ? K.el.K. Oh, thank you for naming me along with Gibran Khalil and Amin Maalouf! I truly appreciate that and, honestly feel flattered. I think the main problem resides in the fact that not so many Lebanese living in Lebanon read in comparison with the western world, be it Europe or the United States. I have been to both, and to be truthful, well, I have seen them reading in trains, buses, cafeterias, libraries (naturally), parks, airports, planes… almost everywhere. Having said that, if someone wants to be better known as an author, he has to find publishing opportunities outside Lebanon, and mainly in the west. Unfortunately, Lebanese are too much attached to politics and are even swallowed by it. Perhaps the best selling books in Lebanon are those centered around politics and political figures. There needs to be more focus on changing our cultural ways and intellectual perception, I suppose! 6 APLH :: Is there a looming movie adaptation in your horizon ? 7 APLH :: Did you have the opportunity to meet Lebanese Philosopher Said Akl? If yes, can you tell us your impression of such meeting (especially that Mr Akl congratulated you on your book ‘Pythagoras the Mathemagician’)? K.el.K. As a matter of fact, the first time I came in touch with Mr. Said Akl was a long time ago at the NDU University, Louaize, when I attended one of his lectures. But of course, Mr. Akl is in our collective memory and will always be there. When I finished Pythagoras the Mathemagician and had it self-published in 2001, I decided to send him a copy and it was delivered later to his office at NDU by a friend of mine. 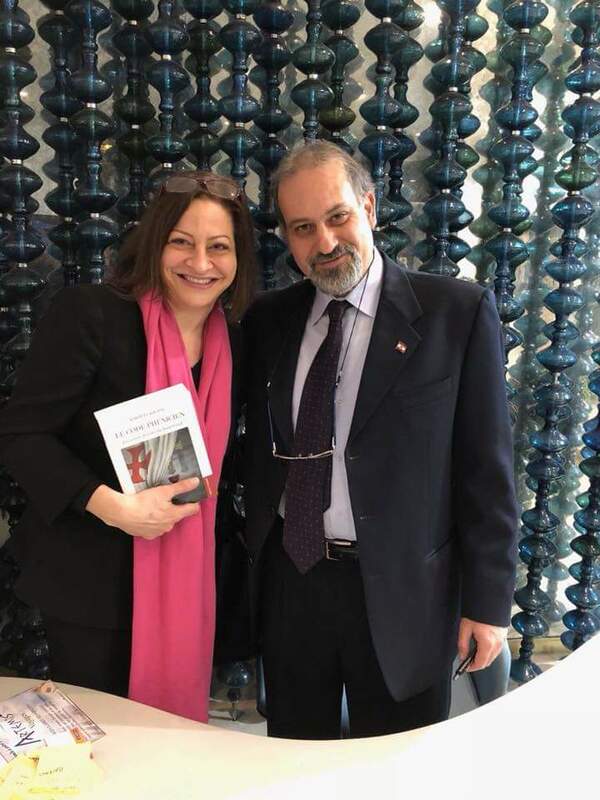 No more than a couple of months later, he called me to congratulate me on my book and invited me to the Press Syndicate in Beirut on a certain date to receive his prize. That was one of the best moments in my life, and during the event, I named him : Philo-Libanus which means Lover of Lebanon. He loved it a lot and a beautiful smile drew on his face. Such a great man. K.el.K. True, I have always been interested in knowing the deepest mysteries in life and our place in the universe. Of course religion gives you a bit of the answers to your query so does philosophy and science. But that is not enough, I believe! Delving into the secrets of religions is esoterism itself. It is where you discover the meanings behind religious teachings. The occult is something different, it is where you put those understandings into practice, but the word “Occult” has a bad connotation, for it is often wrongly connected with sorcery and black magic, although we know that it was used for such purposes by some twisted minds throughout history. Other well reputed western teachings such as Anthroposophy, Theosophy, Rosicrucianism, Freemasonry or even the eastern traditions of Hinduism and Buddhism are definitely interesting to study and investigate. However, my main interest goes back to the ancient Phoenician/Egyptian mysteries where I believe is found the origin of all learning. 9 APLH :: You opinion on the current state of Lebanese culture. K.el.K. I have probably answered this before when I said that Lebanese are truly hypnotized by politics and even chained by its tribal/feudal system. There in fact needs to be a major change in our cultural and intellectual perception of our history, identity and our true role on the world scene. We must recuperate our legacy and revive it for the present and future generations. 10 APLH :: Any suggestions on the protection of Lebanese Heritage ? K.el.K. I guess we can start by injecting more money into the Ministry of Culture, Ministry of Tourism and Ministry of Education for programs of national cultural and intellectual interests. Creating a new ministry, the Ministry of History and Archeology as well as helping /funding other non-governmental associations and organizations that have the same purpose of discovering, protecting and saving our Lebanese patrimony. 11 APLH :: Would you like to add something or mention a subject which we haven’t covered? K.el.K. The Phoenix will rise again from its ashes if the Cedars are still alive. Thank you Mr Karim El Koussa for this interview and wishing you all the best in your literary endeavors!